Retirement doesn't get much better than moving into Lifestyle Ocean Grove. If the family home has become a pain to maintain with the kids no longer around to help mow the lawn, you may have considered moving to something more manageable. But downsizing need not mean retiring from the things that make you happy. 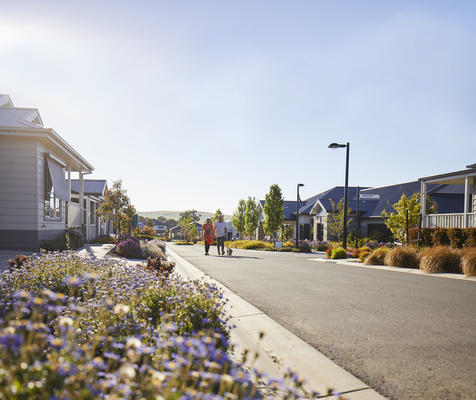 Thanks to a new luxury development on the Bellarine Peninsula, there are now affordable opportunities available for you to downsize to an even bigger life. 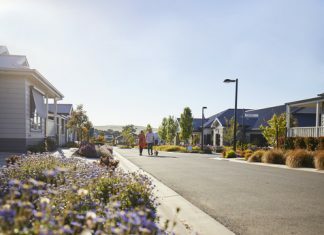 Lifestyle Ocean Grove offers new opportunities for fun, friendship and relaxed coastal living in a secure community of working, semi-retired and retired people over 50. It provides the perfect, affordable seachange, only a few minutes drive from the beach, local cafes, restaurants and the brand new Kingston Village shopping centre. Homeowners began moving in late 2018 and are already enjoying the recently completed Aqua Club facility, featuring a cabana and entertaining area, sun lounges and an outdoor swimming pool. From May 2019, the community will relax and play in a multi-million-dollar Clubhouse replete with indoor pool and spa, billiards room, bowling green, cinema, and fully equipped gym. Homes are stylish, spacious and filled with natural light. They’re designed for low-maintenance living and feature contemporary fixtures, stainless steel appliances, and reverse-cycle split-system heating and cooling. Front gardens are maintained by the community gardener, leaving homeowners time to relax and do more of what they love such as organised yoga and aerobics classes, wellness programs or social calendar events. Some of the homeowners enjoy taking out their very own community fishing boat for a leisurely spin on the Barwon River. One, two and three bedroom homes are available from $260,000 and ready to move straight into. Homes are selling fast, so book an appointment today and experience a bigger life at Lifestyle Ocean Grove by phoning 1300 50 55 60 or visiting lifestyleoceangrove.com.au.